Little Miss had been experiencing chronic stomach aches for a couple months now and I started to think back about other possible "red flags" (randomly throwing up, "bathroom issues", overall tiredness, etc. - usually triggered during or after meal times). So, I started doing some research and asking questions to some of my other allergy mamas and my bento blog buddies. I had a feeling that it must be an intolerance to something - figuring it had to be gluten or dairy. After doing more analyzing and discussing her signs/ symptoms with the fella, he really felt gluten might be the culprit, as well. So we decided to start a trial for a few weeks to see if by eliminating it from her diet we might see improvement in those above mentioned areas. Little Miss has a gluten-free, nut-free banana chocolate chip muffin (more on these later in the post) in a flower silicon cup. She also has two picks that have oven roasted turkey slices and cheddar cheese bites. In the main compartment is also two picks of red seedless grapes. 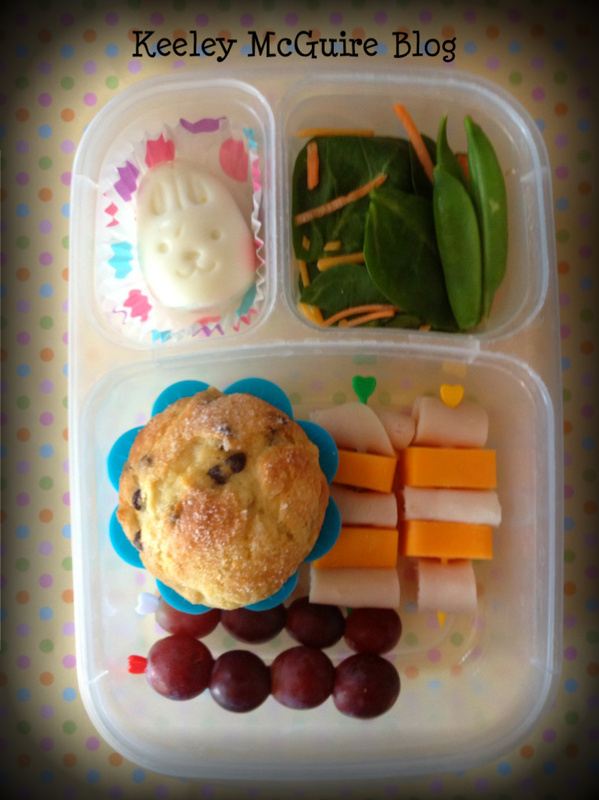 The top left compartment has a hard boiled egg done in her bunny egg mold. Top right is a small spinach salad and a couple sugar snap peas. I love King Arthur products - its the only flour I buy for baking. 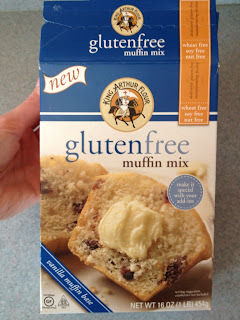 I was thrilled to find they have a whole line of gluten free products too! 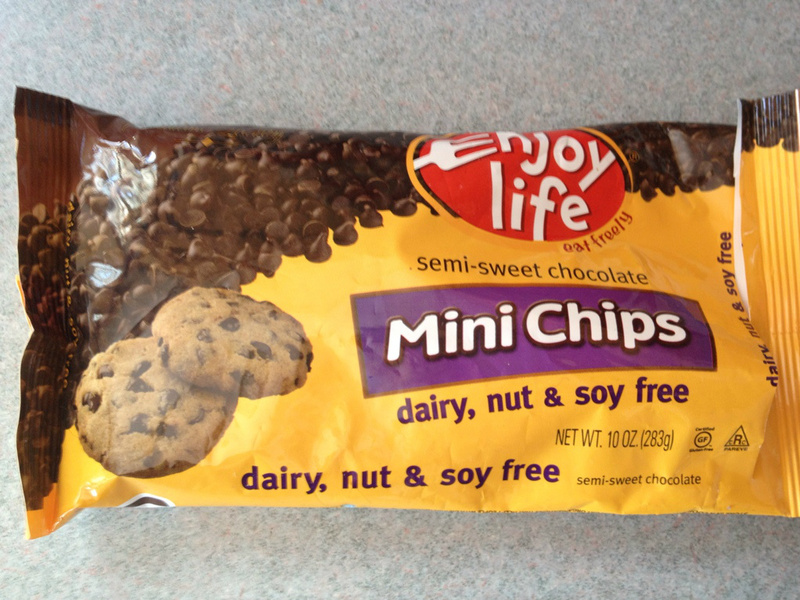 They're made in a dedicated facility free of ALL the top 8 allergens. Fantastic!! 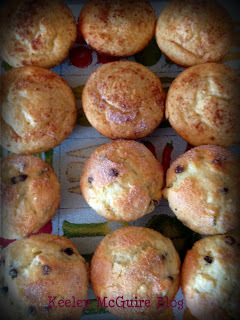 One box makes 12 muffins - after mixing the batter, we split it evenly into two bowls. 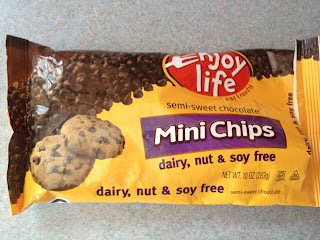 In one we made banana chocolate chip, using our EnjoyLife mini chips (which we've been buying and using for years since they're also free of the top 8 allergens) and a mashed ripe banana. The other bowl, we made apple cinnamon by adding applesauce and cinnamon to the batter. She didn't want big apple chunks in it, though I tried to talk her into it ;-) just applesauce like the bread I make. Dinner: Macaroni & cheese (using Brown Rice noodles), plain grilled chicken breast, and veggies. Did you check the turkey lunch meat for gluten? I didnt think about this at the beginning and then later found out that alot of lunch meats contain gluten. We only buy Boards Head and Columbus now cause those are gluten free. Good luck on the gluten free trial. I also have to eat gluten free, and the first few months were very difficult for me. Make sure she gets a lot of fiber in her diet, because gluten free products tend to be very low in fiber. Also check EVERY lable. The lunch meat the cheese, everything. I was accidentally getting gluten because I would eat things that I thought were safe and later finding out they contained Barly Malt. Be very careful with chocolate and candy. And always look up restaurants before you go out to eat. If you aren't sure if something is gluten free call ahead and ask. Good luck on your GF food adventure! Great feedback - thank you everyone! It is Jennie-O deli turkey meat which is gluten-free (I made sure to check their website before hand). I just tried King Arthur's Pizza Crust, Cookie Mix, and Cake Mix. I loved all of them! So glad to hear the muffin mix is good too! Such a cute lunch idea! I came across your website and found your articles on your family wonderful. I just had a couple of questions, so if you could e-mail me back that would be great! I am so happy I found your blog! My daughter has had a peanut allergy that we have known about for a while and just started having the same issues so she to is now on a gluten free diet! She also had an allergy test that came back that she has an allergy to wheat! So we are just starting on the gluten free diet!! I am so happy to find cute and fun things I can make for her that are gluten and nut free!! Thank you so much!! I can' t wait to send her to school with one of these fun lunches!